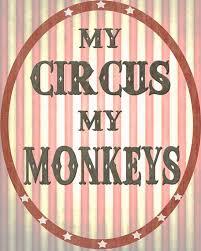 Remember that saying that was everywhere a while back: “Not my circus; not my monkeys”? I was reminded of it by a t-shirt I saw today. Well, guess what? Since the 2016 election, that’s a privilege we don’t have. It is OUR circus, and sadly, they are OUR monkeys. I’m not going to list all the reasons you should be paying attention; that list exists thanks to Amy Siskind. I’m not going to try to appeal to your better nature; if we’re honest, we can all admit that in the end, most of what do is driven by self-interest. And your self-interest is at risk, or may already have been damaged. If you believed the lies that 45 spouted during the campaign, I’m sorry for you. But if you still believe in him, open your eyes and look at what is actually happening and listen to the lies he is telling. Perhaps you don’t care about people of color or LGBTQ people or asylum seekers, so look at how what is happening is affecting you. If you are genuinely better off, congratulations on being part of the one percent. I’m not talking about issues outside your day-to-day life. Maybe you are (wrongly) pleased that he scotched the Iran deal. Maybe you (wrongly) think the way in which he moved our Embassy in Israel was beautifully handled, and even if it wasn’t, it was “time”. Maybe you (wrongly) believe that asylum seekers should be jailed for a misdemeanor. But I’m talking about YOUR LIFE. Are there feuds in your family? Have you lost friends? How’s that tax “cut” doing for you? Is anyone you love at risk due to the changes in the ACA? None of us can deny that no matter what you believe on the issues, this country is divided and becoming more so everyday. If you think it’s not deliberate on the part of this administration, you’re not paying attention. And the impact of that will, in fact, be your circus. Look out for your monkeys. I am. I will be.